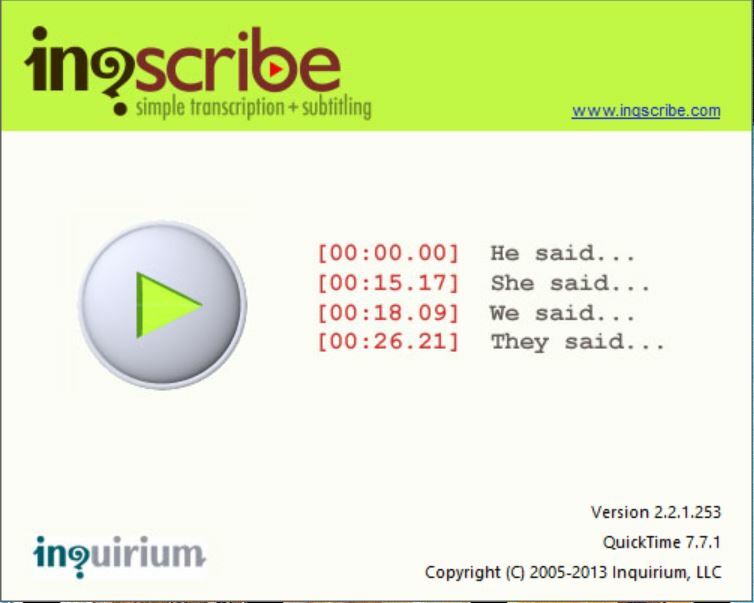 If InqScribe won't start after displaying the splash screen below, there's a good chance another program is interfering. Often this is caused by anti-virus software preventing InqScribe from opening. We recommend you go into the options menu of your anti-virus software and check to make sure InqScribe is listed as a recognized, secure program. Once your anti-virus acknowledges InqScribe as a trusted program, it should allow InqScribe to open without interference.